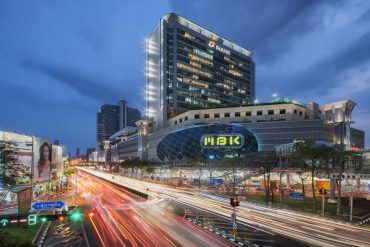 Wineries in Asia? Probably not the first place that comes to mind when you think of wine, but the continent actually has hundreds of wineries and more are being established every year. China is becoming a major player in the industry, producing 1.7 million tons of wine a year, while Japan produces 80,000 tons annually. Other Asian countries are getting serious about winemaking, too. India has a budding wine industry, with vineyards concentrated around the Nashik region of Maharashtra. Even Southeast Asia is getting in on the action; Thailand, Vietnam, and Indonesia each have a number of wineries which, despite tough growing conditions, are producing better and better wine every year. If you’re interested in a unique wine experience, consider heading to one of these wineries in Asia. Let this soak in: China now has more acres of vineyards than France. Indeed, winemaking has become serious business in China. China is the world’s fifth-largest wine-consuming country and the eighth-largest producer of wine. Some of France’s best wineries, such as Château Lafite-Rothschild, have invested there. 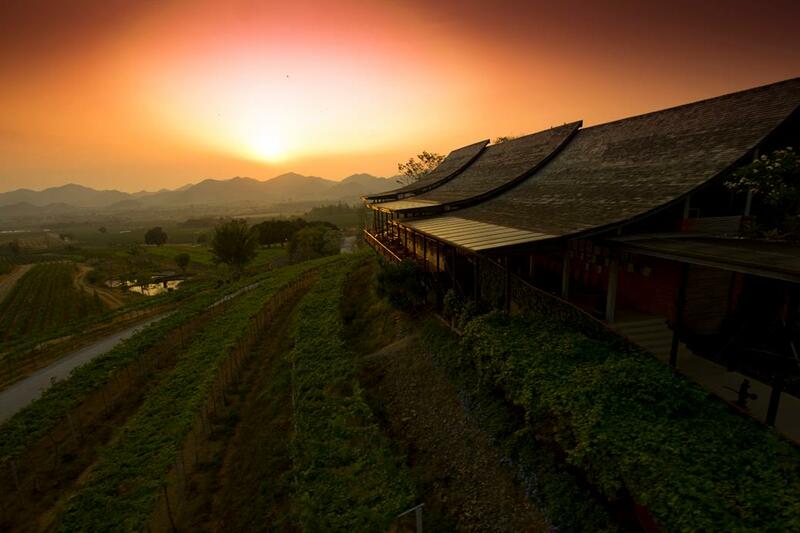 China’s oldest and largest commercial winery is Changyu, founded in 1892, is also one of the largest wineries in Asia. Their vineyards are planted with imported vine cuttings from France. 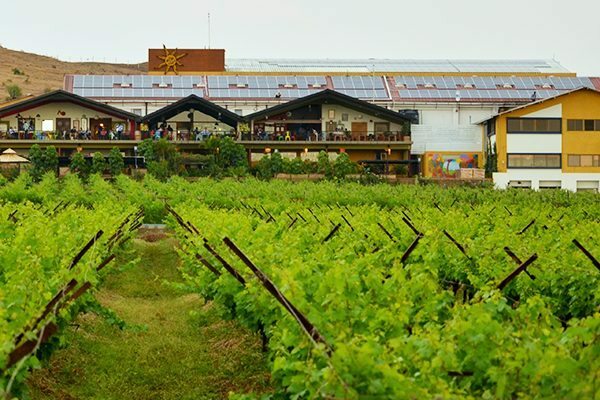 Changyu now has about 35,000 hectares of vineyards located in several of the country’s best wine-growing regions such as Ningxia, Liaoning, Penglai peninsula, and Yinjiang. 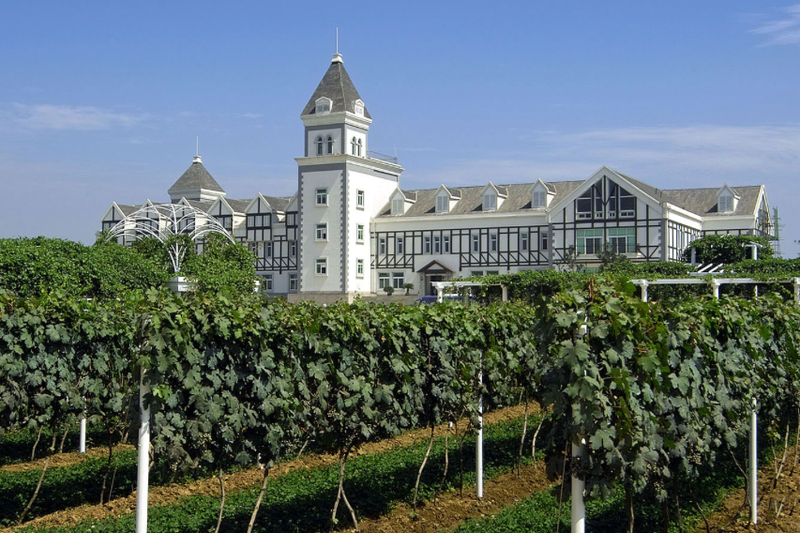 Changyu has eight different chateaux that an avid wine tourist can visit including Yantai Chateau Changyu-Castel. Built in 2002 by Changyu Pioneer and French Castel Company, it is the first professional international winery in China. Thailand started growing wine about 20 years ago and now has three winemaking regions producing so-called “new latitude wines.” One of these regions is Khao Yai, whose cooler temperatures and diverse soil profile make it a great place to grow wine grapes. GranMonte is one of the best-known winemakers in Thailand. This family-run winery, located just outside the gates of Khao Yai National Park, grows a number of varieties including Syrah, Cabernet Sauvignon, Chenin Blanc, Viognier, Semillon, Verdelho, Durif and Grenache. 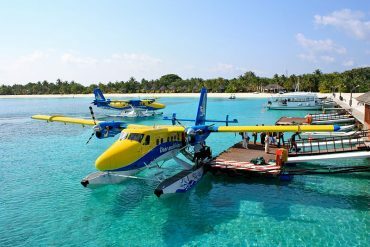 There are complimentary tours every weekend. The winery also serves home-style cooking in their restaurant, VinCotto, and visitors wanting to make a weekend out of their trip to GranMonte can stay in the winery’s guesthouse. 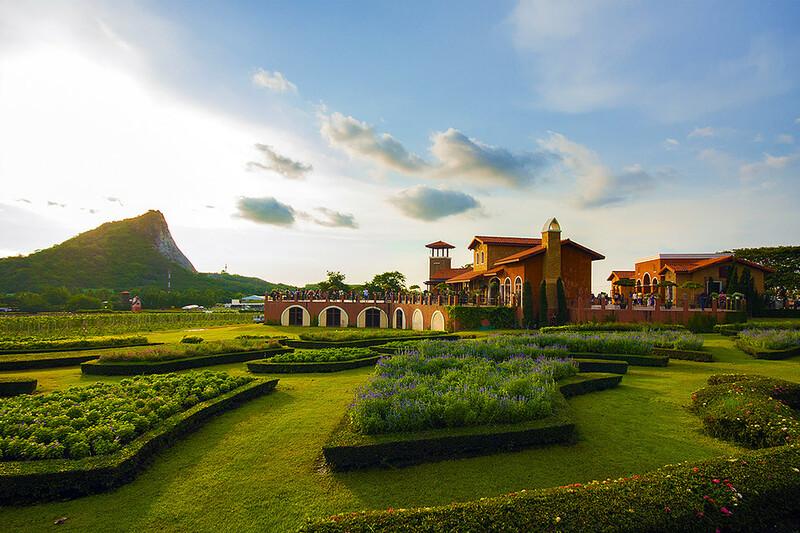 Khao Yai is also home to another one of the top wineries in Asia – Siam Winery. Inle Lake is home to not one but two wineries: Red Mountain Estate Vineyards and Winery and Aythaya Vineyard. Aythaya is located a 30-minute drive from Nyaung Shwe. Their “Aythaya Red” is a cuvée from Shiraz (Syrah), Dornfelder from Germany, and Tempranillo grapes from the Rioja Valley in Spain; the “Aythaya White” is a Sauvignon Blanc from the Bordeaux area and Loire Valley; and the “Aythaya Rosé” is fruity red Moscato grape from Italy. They offer daily tastings, wine tours, and private events. There is also accommodation on site; the Monte diVino Lodge offers spacious bungalows with terraces and stays include a full breakfast and an afternoon wine tasting. Next on our list top wineries in Asia is Vietnam. Vietnam was first cultivated for viticulture during the French colonial period, but the type of grape the French were used to didn’t grow well in the country’s tropical climate. However, there are some microclimates in Vietnam that facilitate viticulture, and today there are several regions where wine grapes are grown; these include Ninh Thuan province and Dalat. The largest wine producer in Vietnam is Vang Dalat; in fact, you can see Vang Dalat wines in almost every restaurant and corner store in Vietnam. If you visit the winery or their showroom in Ho Chi Minh, be sure to try their higher-price-point wines made from 100% vitis vinifera grapes. Vang Dalat’s signature wine is Chateau Dalat Merlot, which is priced about $9 USD; it is light and has generous French oak. Their mid-range wine, called Excellence, comes in either a Chardonnay or Cabernet Sauvignon/Merlot blend; both are $7 USD. 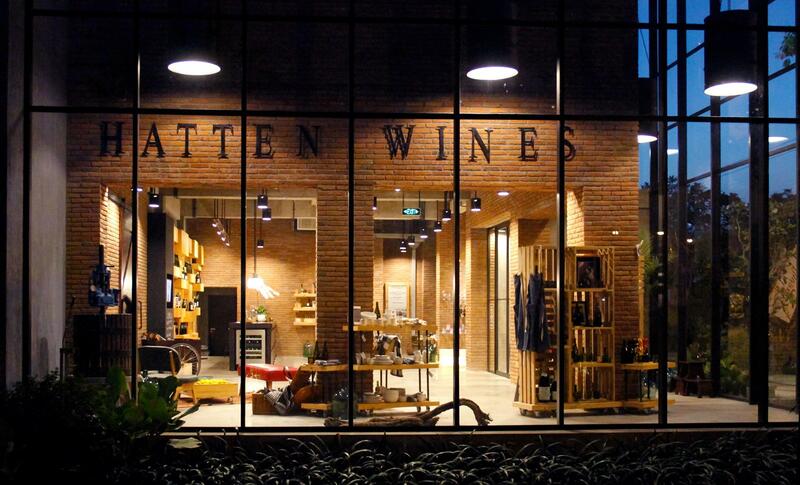 Established in 1994, Hatten is the first winery located in Bali. 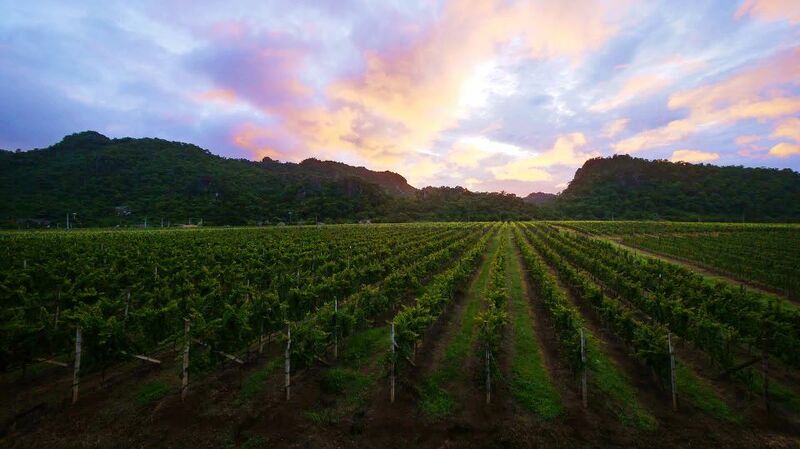 Like wineries in Thailand and Vietnam, Hatten has defied the conventions of traditional viticulture and successfully made wine in tropical conditions. 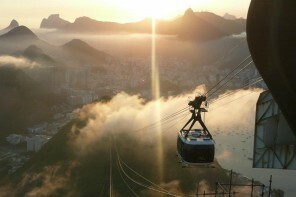 The climate also means that grapes are constantly harvested and wine can be produced all year. The varieties grown in Bali include the local Propolinggo Biru, the Belgia, and the French table grape Alphonse-Lavallée. Hatten’s main vineyards are located in the village of Sanggalangit while they have an office in Sanur. 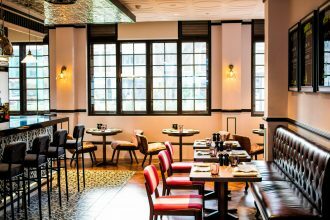 Here, visitors can partake in wine classes, wine tasting, private dining room and visit their wine lifestyle boutique housing its own wine accessories line. Free wine tastings at this winery in Asia are offered 7 days a week. Take a short shuttle ride from downtown Hua Hin to one of Thailand’s largest vineyards. Hua Hin Hills is made for wine lovers with a Thai-inspired pavilion, designed by Ms. Syvia Soh a former Norman Foster architect that houses a bistro, bar and gift shop. 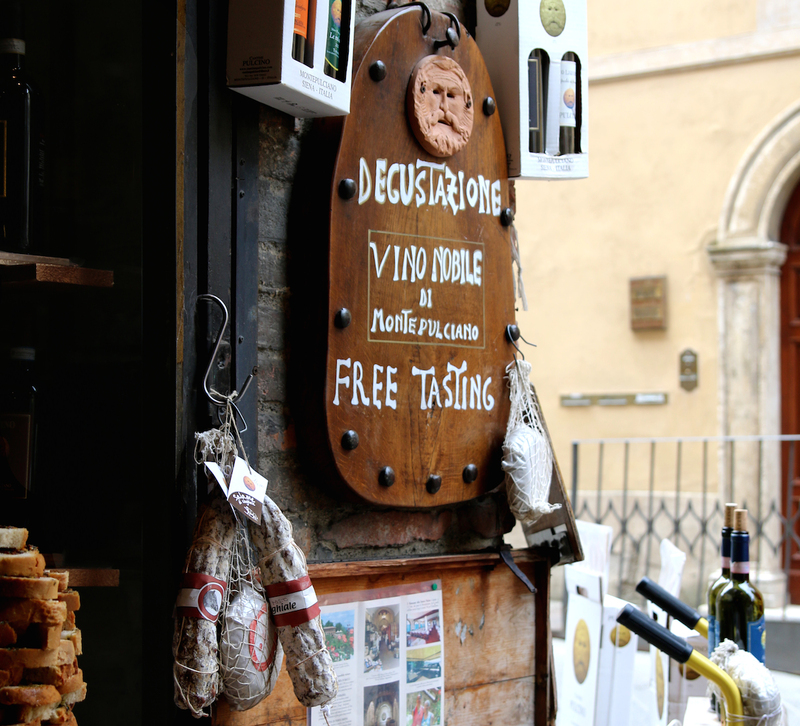 Wines can be enjoy through a variety of tastings including a ‘Wine and Tapas Selection’. Tours are also available that include a video presentation on Siam Winery. Nashik, India is often referred to as the Napa Valley of India and is essential to a listing of the best wineries in Asia. Located around 4 hours from Mumbai it is home to around 50 different wineries including the popular Sula Vineyards. Sula is a major player in the Indian wine scene with a market share of more than 70%. A visit to the vineyard can include a tour of how the wine is produced, tasting in the tasting room and a meal at the restaurant. 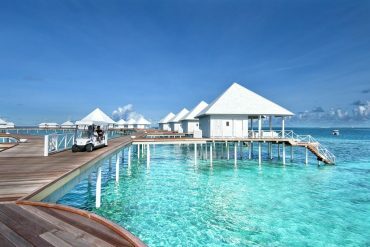 They also host an annual wine festival called SulaFest happening in February of each year. While in Nashik, also visit the newly opened in April 2016 Chandon Winery by the world’s biggest champagne house Moet Hennessy. In terms of alcohol production, Japan is best known for sake and malt whiskies, but the country is hoping to change that. Every year, more and more Japanese wines made from 100% domestically-grown grapes are showing up on shelves in the U.S. and Europe. Grapes have been grown in Japan for over 1000 years, and while vines are grown across the country, Yamanashi Prefecture is the most important region. There are nearly 100 wineries operating in this prefecture, located at the base of Mt. Fuji. Japan’s signature grape is Koshu, which is more than 90% vitis vinifera, part of the same European vine genus that produces sauvignon blanc. Koshu is touted as the perfect pairing for sushi’s flavors and textures. Grace Wine was founded in 1923 and has been a family-run operation since this time. The winery offers tours by reservation. 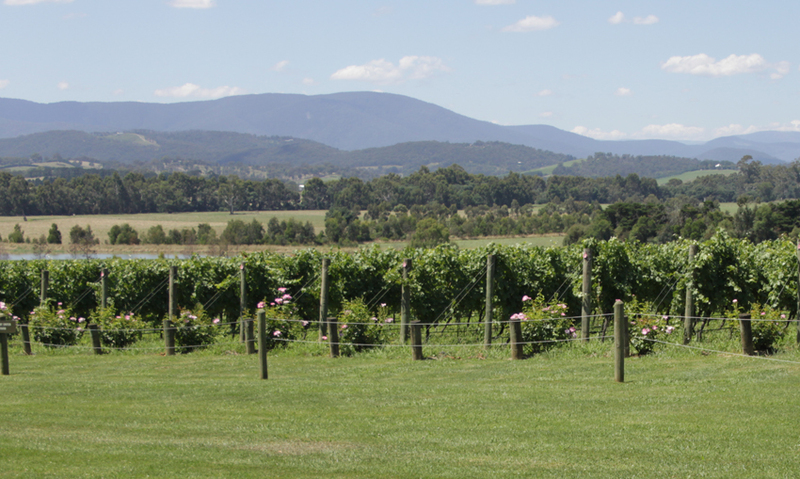 Last on our list of top wineries in Asia is Silverlak Vineyard. Located not far from Thailand’s popular resort town of Pattaya in Chonburi, this pocket of Pattaya feels more like Italy than Thailand. Silverlake Vineyard is set in a picture perfect garden setting with manicured lawns and architecture reminiscent of Europe. Not only does it house a winery with wine tasting, it’s a great place to spend the day roaming the grounds, tasting the food and even taking in the occasional outdoor music festival.